October 4th is the feast day of Saint Francis of Assisi. 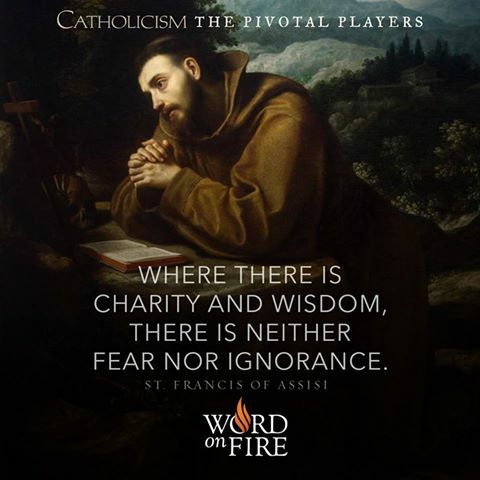 He is well-known and loved by many for his love for God, the poor, animals, nature and for his simple, devout life. 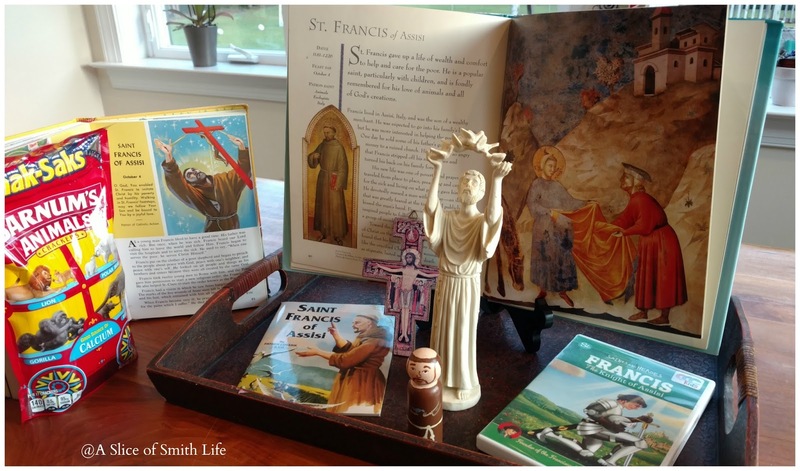 In the morning, I set up a "St. Francis" themed table setting and had a very simple celebration. 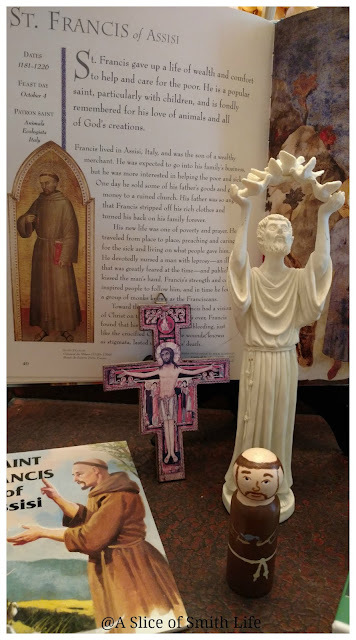 I also displayed the St. Francis peg doll that I received in a Saint peg doll exchange awhile back. I painted 13 each of St. Luke and St. Kateri for the exchange. 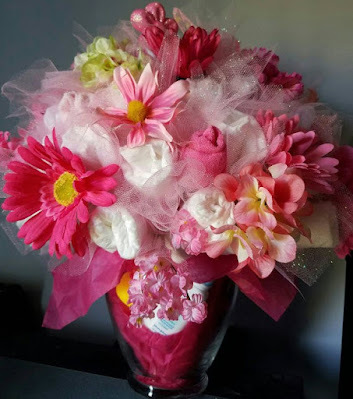 See all the beautiful dolls that we hand painted. 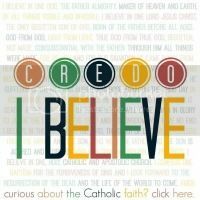 The San Damiano Crucifix on the table was given to us from a family friend who is now a Franciscan priest. 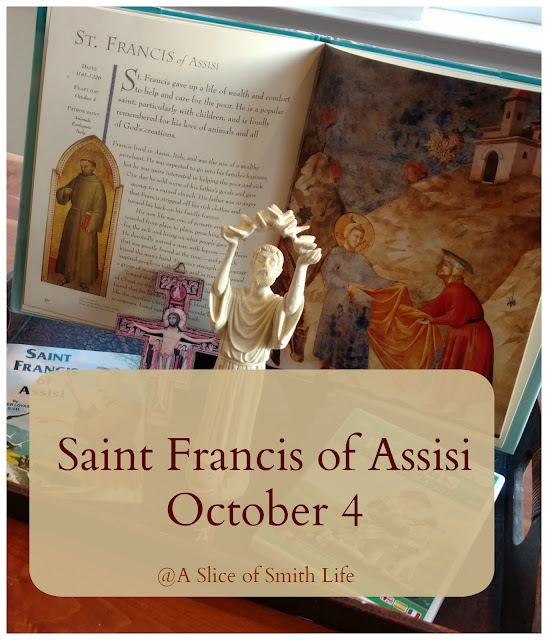 You can find out more about the significance of this crucifix in Saint Francis of Assisi's life HERE. The Saint Francis statue was given to us as a gift. 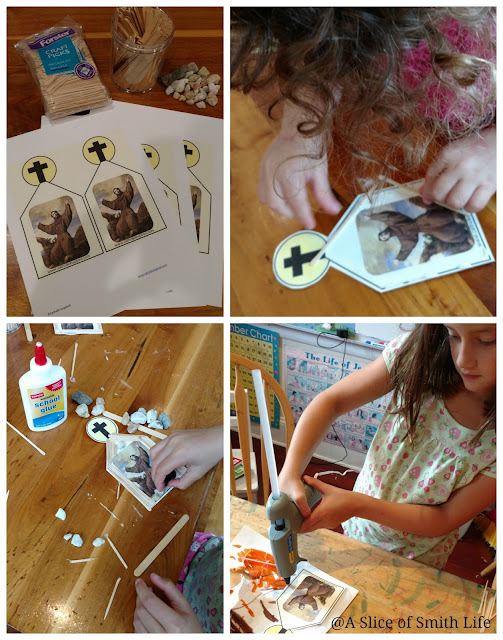 Last year for this feast day we made the "Rebuild My Church" craft from Catholic Inspired. 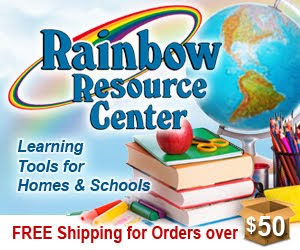 This year we celebrated by reading books about his life and we watched Francis, the Knight of Assisi DVD. 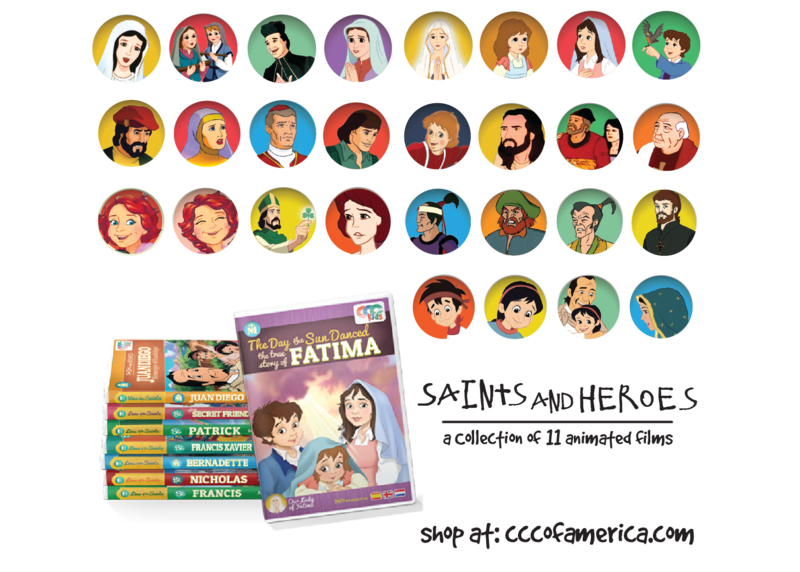 My younger children enjoyed watching Francis, Knight of Assisi DVD from CCC of America while they ate their animal crackers. 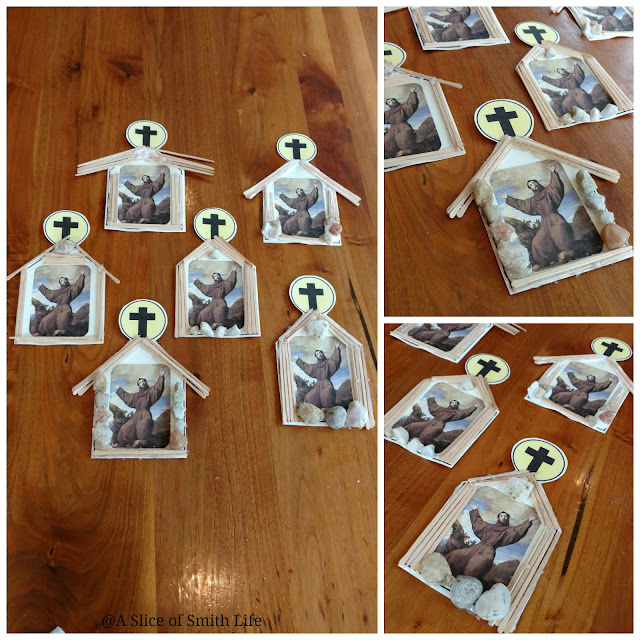 My preschooler also loves playing with her My Catholic Saint Magnets from My Catholic Kids. Each magnet comes with its own Saint holy card where there is a short paragraph about the Saint's life. 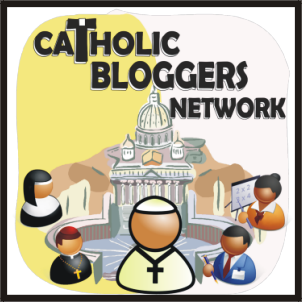 You can get your monthly subscription of the My Catholic Saint Magnets for a great price and start collecting these for faith-filled fun! 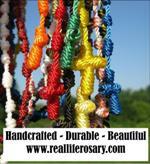 Be sure to check out all My Catholic Kids products in their shop! 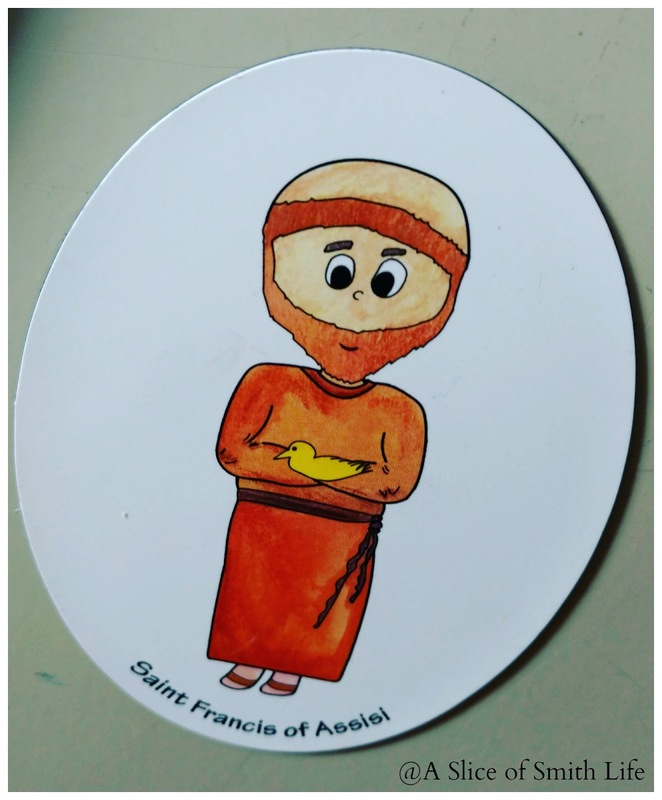 If you would like to see some more ideas to celebrate St. Francis of Assisi's feast day be sure to visit Feast Day Celebrations: St. Francis of Assisi at Sweet Little Ones Printable Shop. Maybe one year we will make the adorable heart-shaped bird seed cakes!